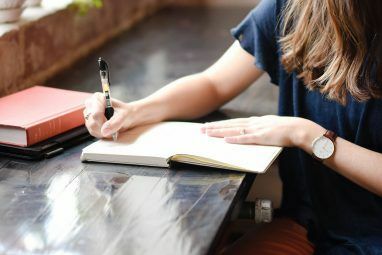 As a writer, I need to be taking notes on a 24/7 basis. Notes just make it so easy to track my errands, duties, and obligations. If it weren’t for all the notes that I jot down, there would be an entire void of forgotten thoughts and lost ideas. How many thoughts have you lost because you couldn’t jot them down? Note-taking apps on mobile devices are extremely helpful, especially in our age of fast information flow. Students can take notes from class and record their homework assignments. Employees can keep track of their tasks for the day. Designers can compile all of their design ideas. Grocery lists. Appointments. Future events. Ever since I started using Android, Catch Notes has been my go-to app for taking notes. It has all the features that I need and a clean interface. But recently I stumbled upon Flick Note, a notes app from Teragadgets. Being a sucker for trying out new apps, I decided to give it a whirl and was pleasantly surprised. The interface for Flick Note is about what you’d expect from a notes app. When you open the program, you’re faced with a list of all the notes you have. The app generously starts you off with a note that describes how to use Flick Note to its fullest; in essence, it’s a README. Thankfully, it’s more helpful than most README files I’ve read. What I like about Flick Note is that the first line of the note acts as the title–and Flick Note designates that by emboldening it. It’s a simple display choice, but I love it. The little details are what makes an app shine. By swiping left and right, up and down, you can read different notes, create tags, filter by tags, change reading modes, and more. Not exactly the most intuitive way to navigate, but it’s super quick once you learn it. Flick Note comes packed with standard features for a notes app, as well as a couple that are new. 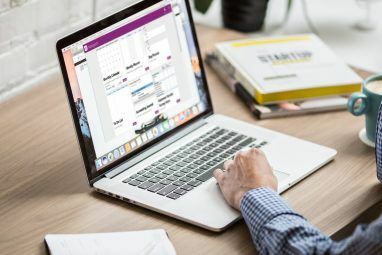 If you have a particular note that you think would be useful to share with others, you can through email, text message, Bluetooth, and more (these all require Internet or 3G/4G connections). But if you want to move the contents of a note to another app, you can do that, too. One cool perk (though not entirely groundbreaking) is the Notes Info popup, which shows you a running count of the number of words and characters in the current note. For a writer, this would come in handy. Flick Note has a lot of tablet features that I can’t enjoy because I’m running it on a smartphone. On a tablet, you can open multiple notes using a split-pane view that’s easily navigated using swiping gestures. With MultiMarkdown, you can instantly convert a note into HTML as you type. When you rely on a single notes app for cataloging all of your words, you will eventually run into the problem of finding the right note that you’re looking for. For most, this issue is as easily solved as sorting. Flick Note doesn’t offer much in that area. However, you can search through your notes database in two other ways: by tag and by word. Each note can be tagged with one or multiple tags, which can then be used as an organizer. You can also find all notes that contain a particular word or phrase using the “Search Notes” option. 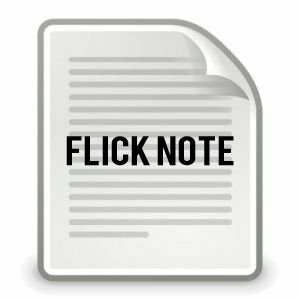 The best feature of Flick Note is that it syncs directly with SimpleNote, a free online notes repository that is tied on an account basis. SimpleNote was the primary notes web app that I used before I found Catch Notes. If I’d known about Flick Note back then, I may not have switched. And lastly, Flick Note provides a lot of room for customization and change. How often do you want to keep your notes synced with your online account? Do you like adjusting fonts/colors/sizes to fit your personal preference? How about disabling/enabling certain aspects of the app that you just don’t ever use? You can do it all here. Flick Note comes in two varieties: Free and Pro. The Pro version, called Flick Notes Key, will set you back $5 on Google Play and unlock the following features: widgets, to-do list style notes, and the removal of all ads. 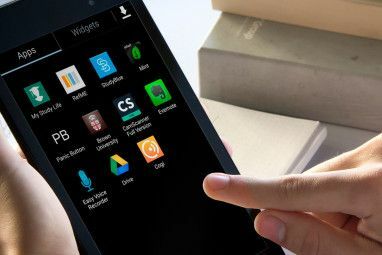 The Pro version is not a separate app; you are simply purchasing a key that unleashes the full potential of Flick Note. In the end, Flick Note is a lighter and more streamlined version of Catch Notes. It feels smoother in certain areas but at the cost of having a smaller set of features. For SimpleNote users, Flick Note is the best Android app you’ll find (at least at the time of writing this review). If you don’t use SimpleNote, Flick Note is still worth a try. Thank you so much, your advice about the Intel monitor extension helped me solve the problem I spent a long time trying to solve in one minute once I read it and I would never ever have found how to do it buried where it was. THANK YOU!!! Hi! Do u know where all the notes are stored locally? I didnt had any account when i started using Flick Note but after making an account, I cannot transfer local notes to my account! Also, if i transfer the note using dropbox, all I get is an empty .txt file. I recommend "Note Everything", simple, easy to organize, plus takes audio, and picture notes. Tried it, its OK, I like love me some evernote. I've been using this app and it is a nice little app to have, great for organizing your notes. I might just have to check this one out. I'm never happy with note apps but Flip Note sounds good. I just this week blogged about forgetting things a lot and not being able to always have my handy dandy physical notepad with me. This app sounds like it would take care of that problem because I always have either my phone or my tablet, or both.